A response to a Mirror column on the origin of students. Like many Dartmouth students, I went through a transitional process from high school hopeful to nervous college student last fall, a shift that involved a great deal of uncertainty and doubt. As Eliza Jane Schaeffer ’20 astutely observed in her Sept. 13 article on adjusting to Dartmouth life, “The College on the (Northeastern) Hill,” ordering Collis pasta is quite the feat for a first-year. In that same article, Schaeffer pointed out the unique challenges Southerners face on Dartmouth’s campus, where they are heavily outnumbered. The article is more than correct in argument, but could do more to recognize and acknowledge the struggles faced exclusively by more visible minority groups and those with more at stake than pushback on their “antiquated speech” and chicken-based dietary choices. Outlining the distinct lack of geographical representation of students at Dartmouth points out a rational problem but doesn’t recognize the obvious and critical racial underrepresentation on campus, the experience of students of color in white-dominated spaces and the near-universal trouble new Dartmouth students have in adjusting to college life. Although I experienced a marked change in my way of life, I do not remember my freshman fall as a time of misrepresentation or intolerance, largely because I look like roughly half of the student body. Looking outside of “geographical minorities,” the Class of 2020 is suffering from a more serious lack of racial and ethnic diversity. The 2010 US Census reported that 12.6 percent of American citizens identify as African American, but African American representation in the Class of 2020 is a mere 8 percent. 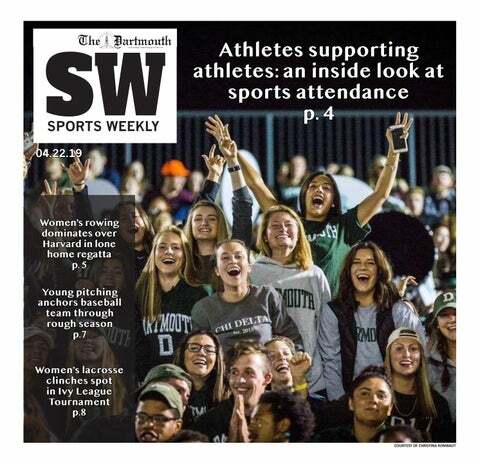 Many students of color come from diverse communities, causing the demographic change to the predominately white Dartmouth campus to be even more jarring. We cannot ignore the fact that certain groups on campus face discrimination based on the color of their skin or their sexual preferences. Narasimhamurthy is a woman of color from Kansas City, Missouri, involved with the South Asian community at the College. She said she has experienced disrespect of her cultural forms of South Asian dance and has found herself the only woman of color in many of her class groups and projects. Feeling safe is a liberty that not all students on campus have, and it is not a liberty based on where they are from, but rather one based on appearance, Narasimhamurthy said. I recognize that I am in a place of privilege on campus, a place of representation and a place where I have never had to wonder if I am the only student like me in a room. Coming from Hawai’i, I was well aware that I would experience many cultural differences in everyday life. Like Schaeffer, I had never heard the word “Choate.” I was not a part of the culture that showcases ugly leather shoes or pastel shorts. Rather than clinging to people who knew what it was like in Hawai’i and silently judging the “Northeast elite,” I made a conscious effort to understand the differences between us. Rather than rooting our focus in how different we are and competing to see who can adjust the most, why not find the similarities in our narratives and talk about things that most people can relate to, like living with a stranger or learning the Salty Dog Rag? Schaeffer is right to encourage her fellow students to “take advantage” of the wealth of representation on campus, but this can go beyond the geographical diversity of students. Her experiences in facing backlash for being from the South are tangible. The very obvious and blatant underrepresentation of racial (and various other) minority groups on campus is another luxury we cannot afford. No matter where we come from, every Dartmouth student encounters areas of difference and change. It is in those differences that we should base our unity. Narasimhamurthy is a member of The Dartmouth business staff.